We met Carla of “Craftpatisserie” on Instagram and we immediately fell in love with her job. 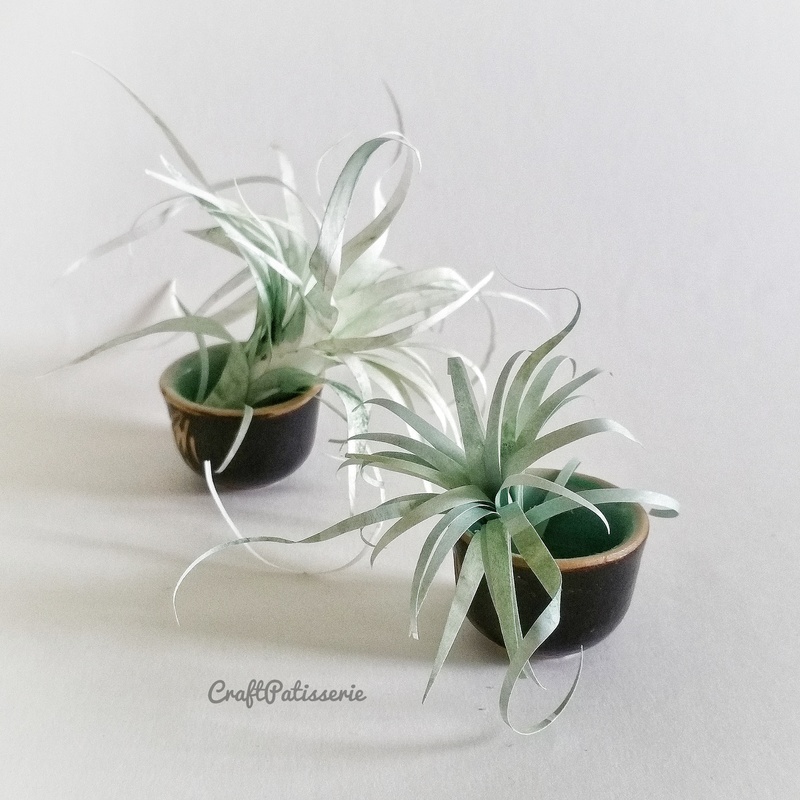 In this post she tells us how she ended up creating air plants by her own. The result is amazing! Enjoy it. I’ve already been spending a year looking for Tillandsia in all florists and nurseries in my own town but unfortunately without any success, here nobody sells them yet. 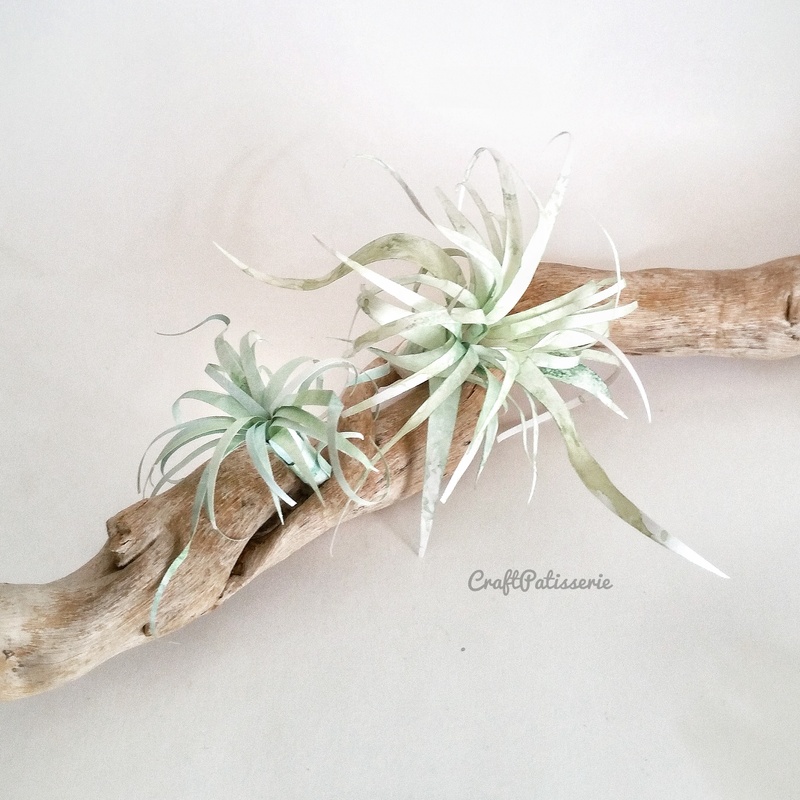 I’m talking about these cute and magical air plants that grow without soil. Last week, while I was thinking about it, I came out with the idea of creating Tillandsia made of paper: artificial air plants which could satisfy my deep desire to finally own one! 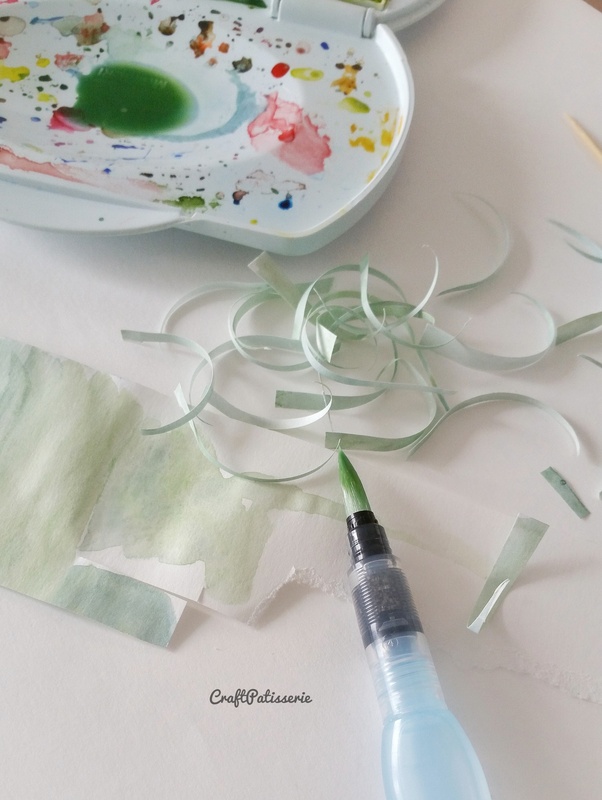 Create a soft tone using green-grey watercolors and color the paper with delicate glazes. 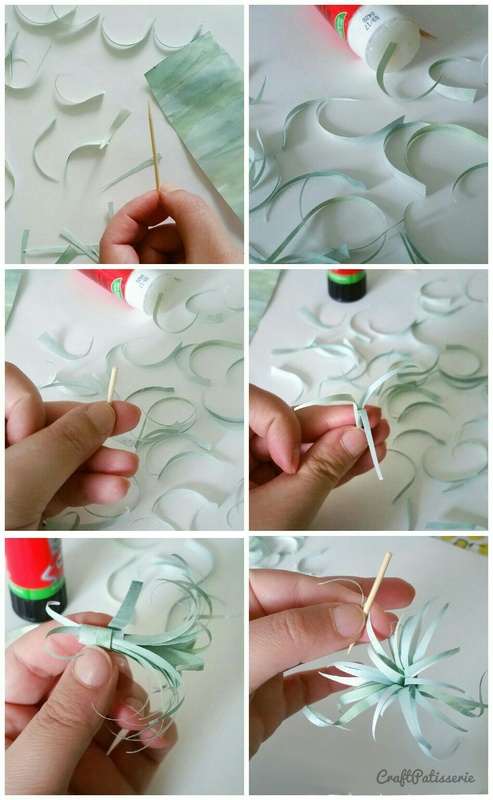 Once the paper is dry, cut many thin segments of various length and then curve cutouts with the toothpick. Break the toothpick in half and use a part of it as a base to glue the cuttings on. 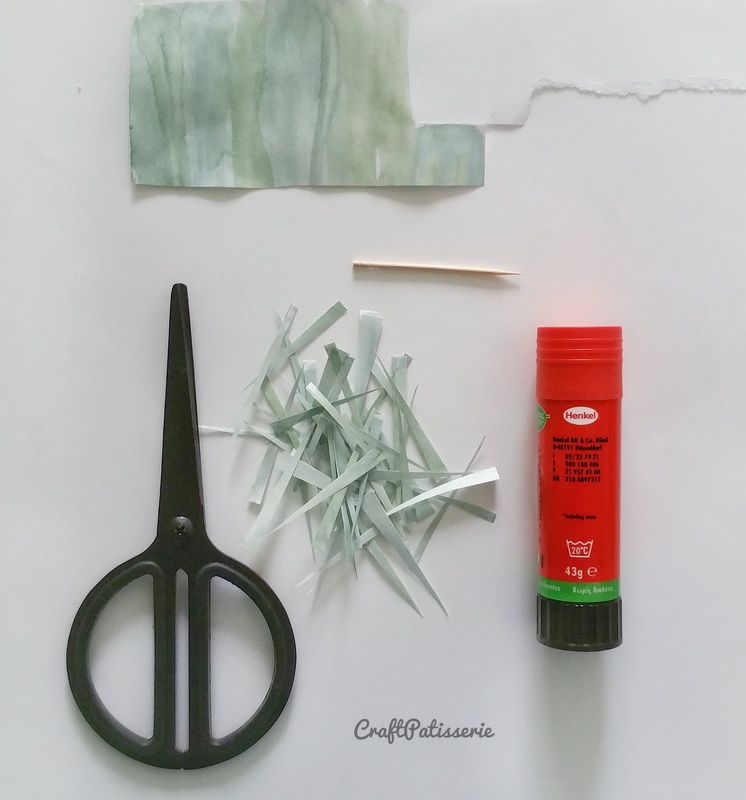 Apply the leaves radially using the glue stick until the plant appears quite thick. Stick few more leaves on the bottom too (on the opposite direction from the others) and refine the plant’s base with an extra paper strip. And to finish use the toothpick to curve the longer leaves in various directions (see the last image of the collage). If you want a bigger plant you can simply use a piece of straw and bigger leaves. Your paper Tillandsia is finally ready! What you have to do now is finding the right spot to place it such as a small wooden trunk taken from the beach. I hope you’ve enjoyed it and see you soon with my next “craftpiece”.